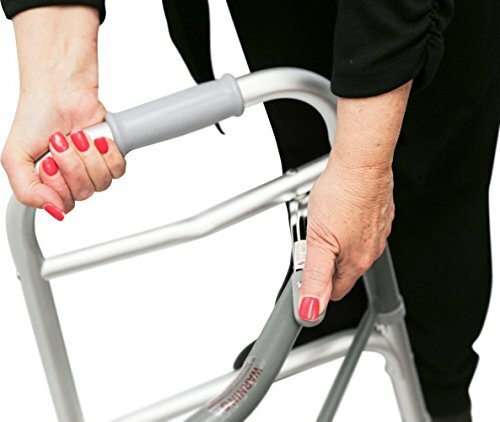 EASILY OPERATED – the adult walker mechanism features 2 fast-push buttons that are simply operated by fingers, palms or side of the hand. 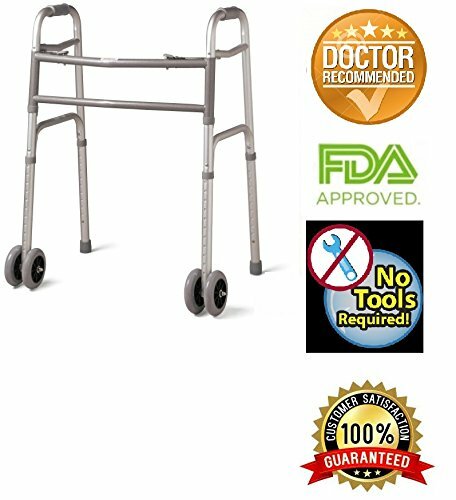 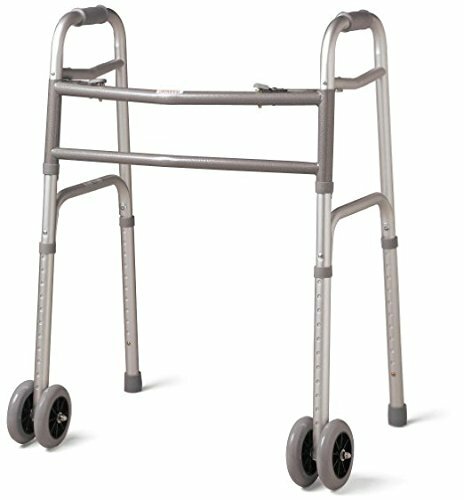 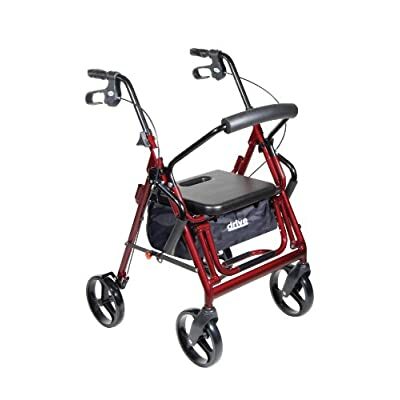 COMFORTABLE TO USE – walkers for seniors equipped with 5-inch front wheels and back glider caps. 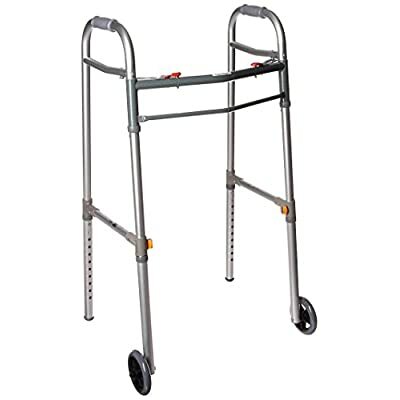 Comes in Standard, Junior, and Heavy duty sizes. 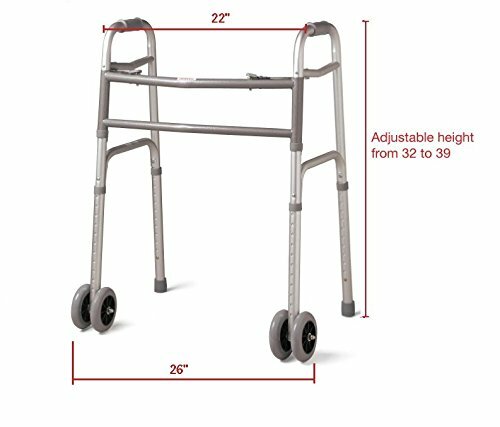 SAFE and SOUND – the walker’s U-shaped frame give extra clearance, enabling the patient to bring the bariatric walker closer to assist in standing. 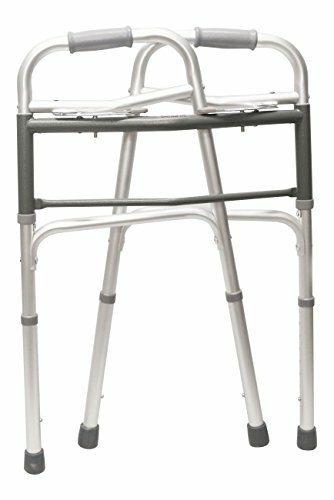 STRONG AND LIGHTWEIGHT – the heavy duty walker is made of anodized aluminum. 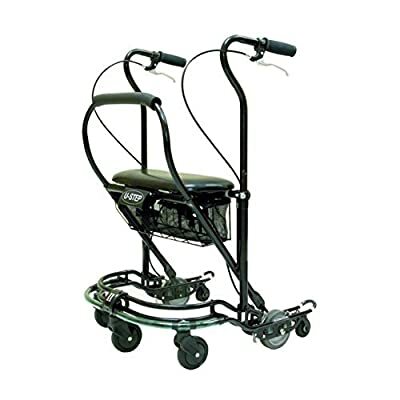 PORTABLE – this front wheel walker is easy to transport in a car or a suitcase.